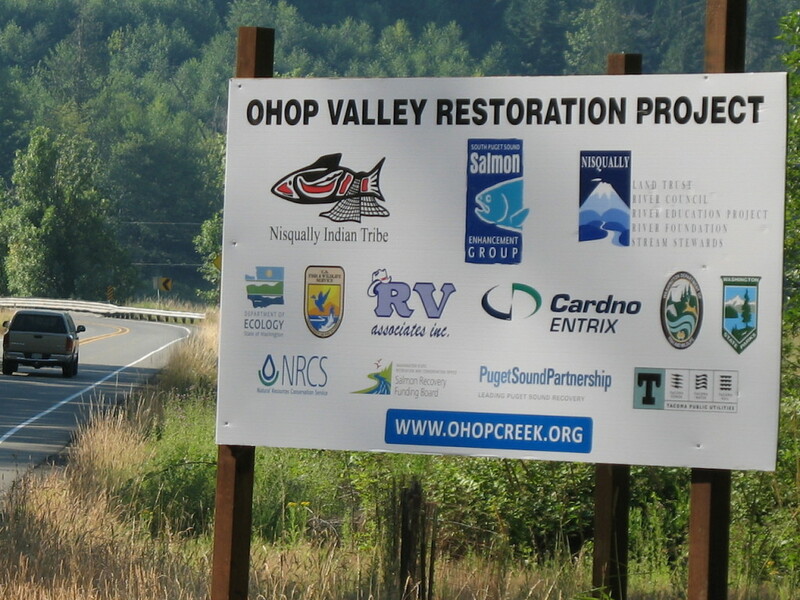 The Ohop Phase III Project is currently under construction. 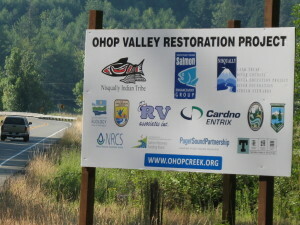 Visit ohopcreek.org for additional details about this project. 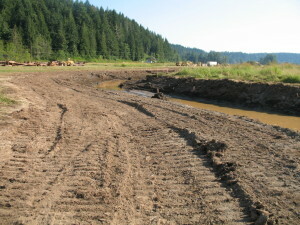 For centuries, floodplain and flat wetland areas have been cleared of trees, and creeks straightened into ditches to make room for farming.The Ohop Valley in the Nisqually watershed is no exception, and we have been working for quite some time with the Nisqually Land Trust, and the Nisqually Indian Tribe to reconstruct these channels to their historical conditions. 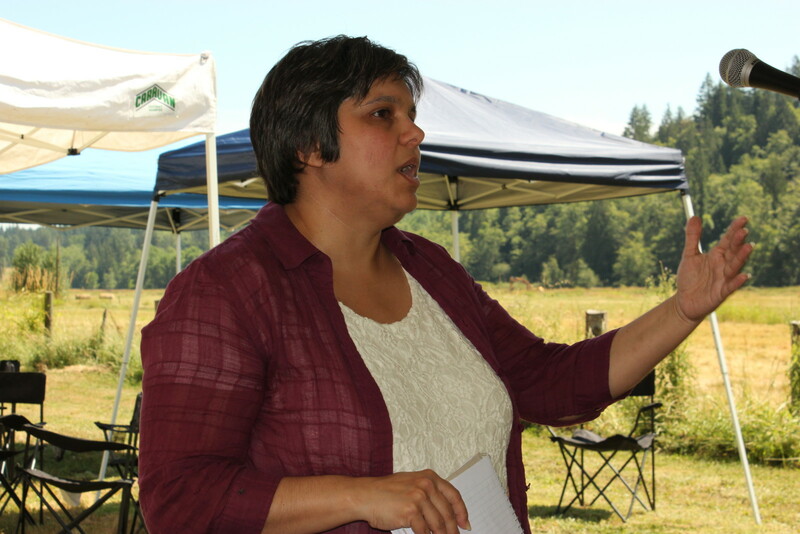 On July 12, SPSSEG in collaboration with the Nisqually Land Trust and Nisqually Indian Tribe hosted a celebratory groundbreaking event with keynote speakers, a salmon bake, and tours of the Ohop Creek restoration site. 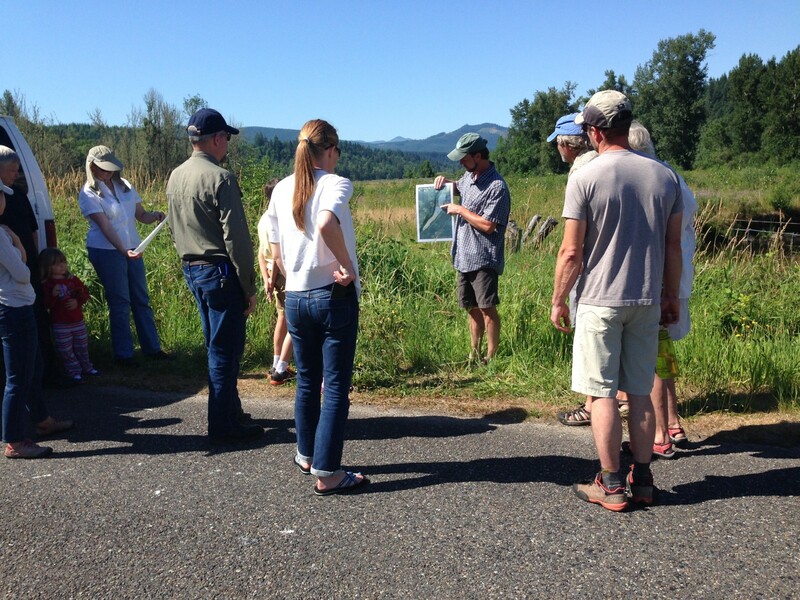 Phase III is taking place on the Burwash Family Farm. 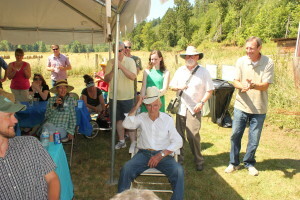 Several generations of the Burwash family attended the event to show their support and enthusiasm about the project! 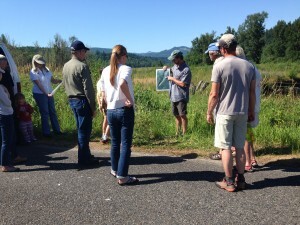 SPSSEG’s very own Brian Combs, Project Manager, leading the tour of the current Phase III, and past Phase I & II sites. Photo credit: Jerilyn Walley. 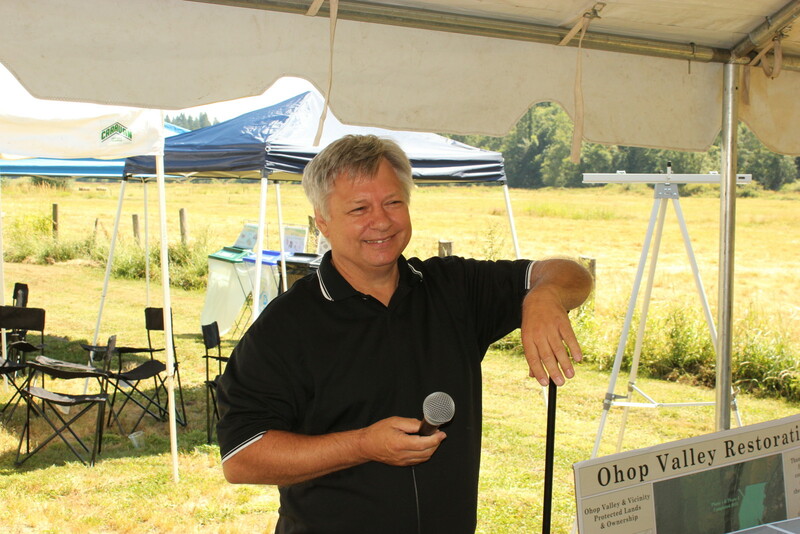 Steve Pruitt, Ohop Valley resident and member of Nisqually River Council’s Citizens Advisory Committee spoke about the role of connecting local people to their land. Photo credit: Emmett O’Connell. Jeanette Dorner, of the Puget Sound Partnership, recognized the importance of the Ohop Valley Restoration in the Nisqually watershed and overall in Puget Sound. Photo credit: Emmett O’Connell. Steve Burwash has lived and farmed in the Ohop Valley for 4 generations. He and his family decided that preservation of the farm through conservation was a perfect way to carry on the family legacy. Photo credit: Emmett O’Connell. 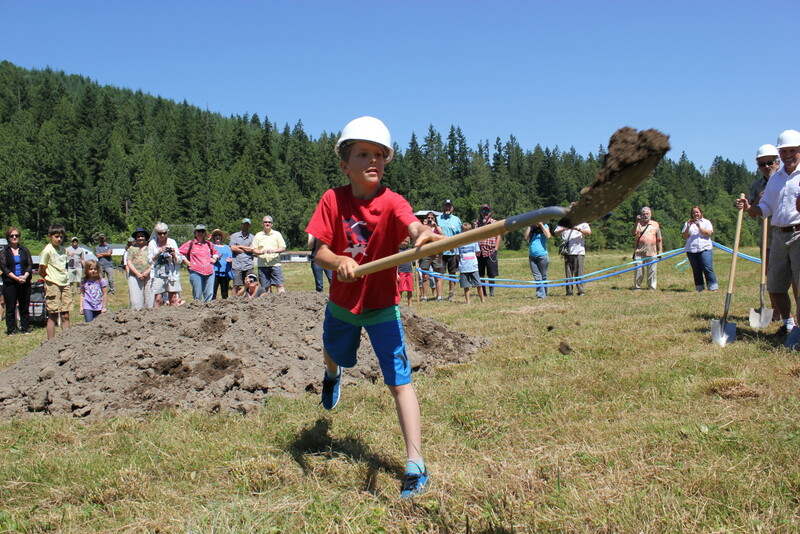 Matteus Rabel, of the youngest generation of the Burwash family, throws dirt from the new creek bed. Photo credit: Emmett O’Connell. 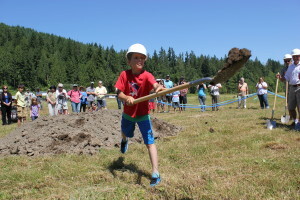 The progress of construction was evident during the groundbreaking. The new channel will be wider and shallower than the ditch it is currently in. This will form new habitats and enhance salmon populations. Photo credit: Kim Bredensteiner. 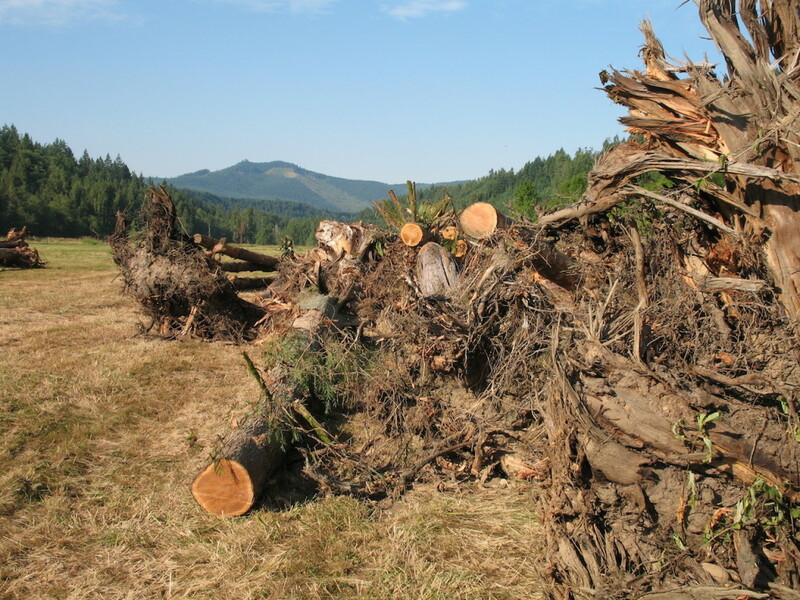 As construction progresses, these logs will be placed in the stream to mimic large woody debris piles, or log jams. 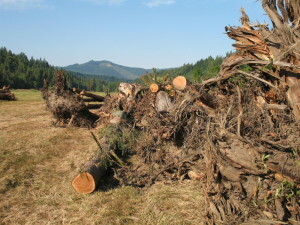 Large woody material provides shelter for migrating salmon. Photo credit: Kim Bredensteiner. This project is the result of a huge collaboration with many partners. 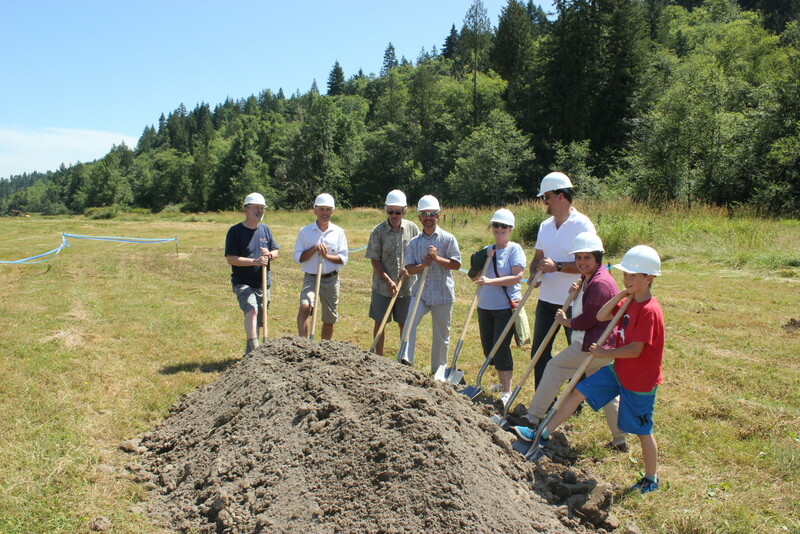 The great partnerships and outcomes of this project will not only be felt locally, but will also contribute to a better Puget Sound. Photo credit: Kim Bredensteiner.